There are already so many aspects to planning an event. Additional elder care issues can make your job even bigger. 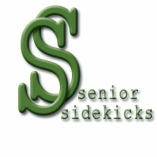 Now you have help; call ﻿Senior Sidekicks.﻿ We’ll meet your senior and help you design an event plan so they can participate on that special day at their own pace. Your memories with them will be sweeter each passing year.